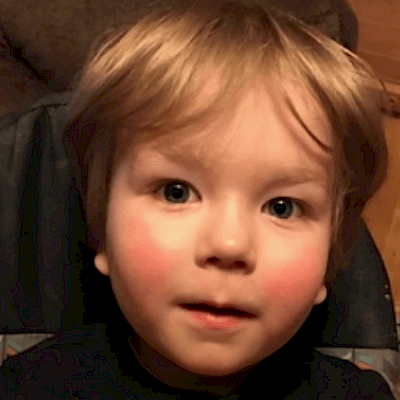 Liam Joseph Lawrence, the happy go lucky 3 year old son of Jon and Laurel (Wilkinson) Lawrence of Shell Lake entered Heaven on March 19, 2019. He was born February 24, 2016 in Rice Lake. Saying "goodbye for now" are his loving parents; his sisters and brothers: Will, Ashley, Gracie, Jonathan "Buddy", Riley and Aspyn; his grandparents: Karen Loy and Linda Liczkowski, both of Shell Lake, and Don and Julie Lawrence of Spooner; uncles: Gary (Doree) Thompson of Los Angeles, CA, Dave Colver of Atlanta, GA and Rob Loy of Shell Lake; his aunt, Heather Zempel of Shell Lake; nephew Rowen Graham of Trego; cousins: Staci Zempel and Aylissa Zempel of Shell Lake and Celedonia Thompson of Los Angeles, CA; many other special family and friends. Waiting for Liam in Heaven are his sister, Kaylee and grandpa, Ray Liczkowski. A Funeral service will be held at 5:00 PM Saturday, March 23, 2019 at Lake Park Alliance Church - Shell Lake with Pastor John Sahlstrom officiating and visitation preceding from 2:00 to 5:00 PM Saturday at the church. Skinner Funeral Home of Shell Lake is caring for the family.